We have created the Standard Package as the perfect carpet cleaning package for your carpets that are regularly maintained. This is the ideal package for your carpets and will freshen them up. We first met KCJ on January 9th, 2016 when we returned from a vacation to find our house ruined by an upstairs water leak – around 226,000 litres flowed through the house over the course of a few days. Pre-Inspection – we will conduct a pre-inspection of your carpet. This will enable us to conduct fibre identification, survey any spots and stains and evaluate any existing problems with your carpet. Pre-condition/Pre-spot – pre-conditioners and pre-spot treatments will be applied heated to your carpets to allow it to start to break down soiling and treat any spots. Steam Clean – We will steam clean your carpets using our state of the art cleaning equipment by using a carpet wand or the RX-20 Rotary Jet Extractor machine. This machine is highly efficient and has revolutionised carpet cleaning. KCJ have invested over $60,000 in this equipment so we can ensure that we are able to utilise higher heat, larger extraction power and more rinsing ability. 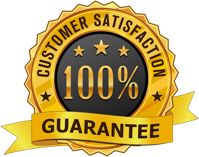 The high quality of the equipment that we are using ensures that we are able to guarantee great results with cleaner and dryer carpets for you. Deodorise & Neutralise – This will leave your carpets smelling clean and fresh and removes the sticky residue that may be left as part of the cleaning process. Grooming – grooming is our final step and it will ensure we leave your carpet looking fantastic. This will remove any cleaning & machine marks while enhancing the drying process.